Many times we are assigned a task to convert a PDF into a JPEG or in any other image formats. For these kind of situations, Free PDF to JPG works good. It is a freeware windows tool that can convert pdf into jpeg, bmp, png, or tiff image formats. Although the name is “Free PDF to JPG” but it can convert PDF into multiple image formats. 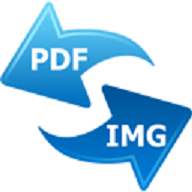 “Free PDF to JPG” is a nice PDF to image converter tools with many nice feature. It supports multiple pages PDF and also lets users select preset output dimensions (width and height). It comes with simple and easy to use interface. Download the tool and install in your system. With this tool, converting PDF into images is easy task. Run the tool and add the PDF files with your want to convert into PDF. You can also add a folder containing all PDF files. The thing which I missed was the drag and drop support. After adding all PDF files, you can do some settings for output image files. Select Ootput image format and image dimensions. After you are done with settings, click on start button to start the conversion process. The conversion process is fast and quickly you will find output images at the destination location. Convert pdf files into multiple image formats. 1. While installation, this tool tries to install few extensions on your browser and change the home page. So, while installation, b careful and use Advanced Installation mode. In this mode, you will be able to deselect these extra extensions. 2. This tool cannot extract text or images from the PDF. Free PDF to JPG is a nice tool. There are few other similar kind of software to convert PDF into images. We have also covered few. If you other similar kind of tools, share with us via comments.